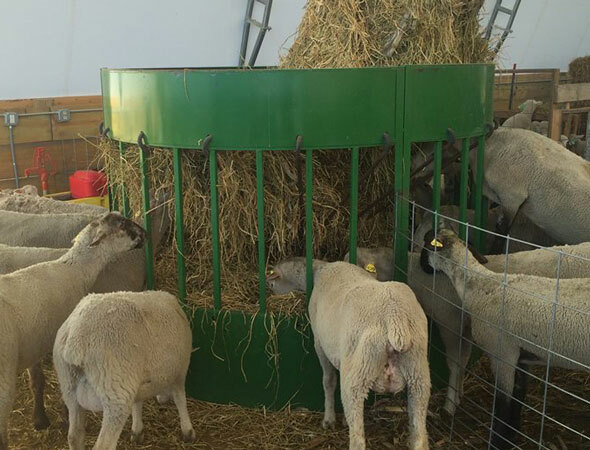 The small diameter allows the sheep to reach everything without human intervention. Most customers are asking for the 7’ as their hay doesn’t fall off over the edge. As we develop different products for our customers the sheep feeder needed narrow openings at a 7 inch width. So far the problem that has arisen is the lambs can climb in and get caught in the center bar and chain.